Yoga is an exploration of the ongoing relationship with the life force (prana) as it is expressed through the layers (koshas) of our being. Through self-study (svadyaya) in a yoga practice, we may begin to cultivate awareness that brings the physical, emotional and energetic experiences of who we are to a place of stability and clarity. Our effort towards steadiness supports our health and wellbeing as individuals – and on a larger scale, as a global community. We are all connected. 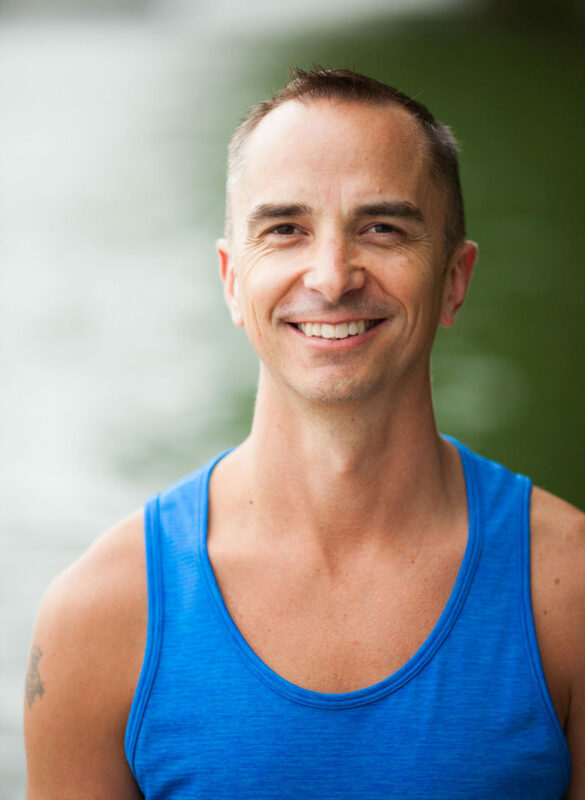 Yoga teacher Basil Jones is the creator of Basil Yoga Center and Boutique in Ridgefield, CT. As a leader, mentor and master teacher, Basil is known for his authentic, warm approach and intuitive teaching style. A practicing yogi for more than two decades, Basil has studied with world-renowned yoga masters including Sharon Gannon, David Swenson, Seane Corn and Dharma Mittra. Basil’s interest in yoga began in 1995, when he worked as a chiropractic assistant in New York City. After seeing hundreds of patients per month, he began to feel that wellness extended beyond the body. He began to pursue studies in yoga philosophy, postures, and energetics with a goal of helping people recognize unintentionally held, harmful energetic patterns such as clinging to tension, shallow breathing and dis-ease; and replace them utilizing time-tested techniques from various traditions of yoga to rebuild patterns of wellness. 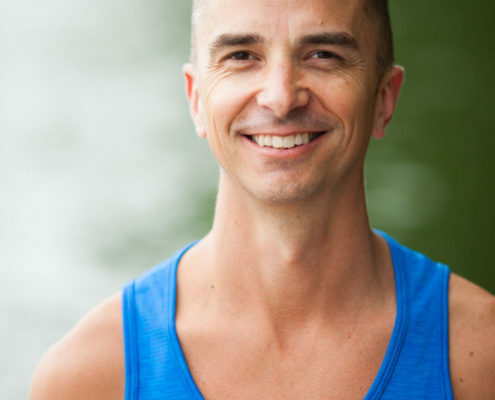 In his 15 years of teaching yoga, Basil has opened yoga studios in North Salem and Cross River, NY; developed yoga programs for gyms and fitness centers in New York and Connecticut; and served as an advocate for nonprofit groups like Green Chimneys, supporting the nurturing and development of children, animals and wildlife, and organic farming. 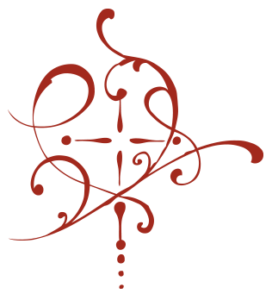 Basil’s teachings grow from the vinyasa yoga tradition. WIth a deep empathy for all levels of human experience, his mission is to support yogis on their personal journeys. He strives to empower students with mind-body alignment techniques that can help them explore their unique potential, and reach their goals in yoga. His past students include Martha Stewart, Stanley Tucci and Ronnie Spector. In addition to assisting his teacher and mentor Seane Corn, Basil leads teacher trainings and yoga retreats globally. Basil enjoys French food, fine wine, walking with his pup and husband Nico, and reading philosophy books to the deep beats of vintage house music.